Jason Hartman: My pleasure to welcome Dr. Peter Breggin to the show. He is the author of over 20 books. He is an MD, a psychiatrist, and we’re going to talk about our, in my opinion, overly drugged culture. And we’re going to talk about the treatment of mental illness and anti-depressant drugs and so forth. I think this is a very important topic. So Peter welcome, how are you? Peter Breggin: Good. Wonderful to be on your show. I just like very much how you sound, as we’ve chatted before the show started. It’s a pleasure. Jason Hartman: Well, and the pleasure is all mine. You’re coming to us today from Ithaca, New York up by Cornell University. Tell us about some of your books and how you got started in this field. It’s certainly odd, Peter, that a psychiatrist would be a non-believer in these anti-depressant drugs. Peter Breggin: Jason, I got started as an 18 year old boy at Harvard. And I got asked to go and volunteer at a state mental hospital and I walked into this place and it was like a Nazi concentration camp. It was 1954 – I’m 76 years old, Jason. And I realized at the start that the treatment was doing more harm than good. I eventually led the program and we proved that untrained college volunteers working as case aids could get patients out of the hospital, back in the community, who’s psychiatry had given up on and was just abusing on the back wards. So my whole introduction was that really it’s caring human services that human beings need. Even the most down and out people that at that point were literally locked up for life in these hospital wards. So I went into psychiatry for the purpose of being a socially and psychologically oriented psychiatrist. But by the time that I graduated med school in ’62, the profession was being taken over totally by the drug companies. At that point psychiatry was losing money – found it couldn’t compete with psychologist and social workers who were doing therapy. They didn’t know how to do therapy – the MDs, all they knew was drugs. So the pharmaceutical industry went into a partnership with organized psychiatry, which I wrote about in Toxic Psychiatry. I actually documented the minutes of the psychiatric association showing the decision to go into partnership. And so since the late 1960s, and especially the early 70s, psychiatry became literally a part of the pharmaceutical industry. And that’s where it is today. Even the diagnosis that are created are created by people who are invested in financially working for consulting to the pharmaceutical industry. And I think the whole approach to human beings, of treating them as if they are chemical machines that have the biochemical imbalances, is a totally false premise. And so we end up with a lot of conniving and a lot of manipulation and dishonesty to try to make this system work. In fact my most recent blog on Huffington Post is about the three billion dollar agree settlement that one of the drug companies, GlaxoSmithKline just made with the Justice Department for many, many malfeasances including admitting to criminal behaviors. Including marketing the drug Paxil to children and they knew it was causing suicide in children. So I just from the beginning Jason, I’ve been on the side of psychological, social, caring interventions and I believe that’s what human beings need. We need each other, not drugs. Jason Hartman: Okay, so let me ask you. Let me play devil’s advocate. Let me take the side of the vast pharmaceutical conspiracy, if you will. Peter Breggin: Which is truly being the devil’s advocate. Jason Hartman: I agree. And listen, I agree. But one thing I would ask, is when you said that this whole philosophy of treating people as though they are electrochemical beings and they have chemical imbalances, I mean from a scientific point of view that sounds like it could be legitimate. Now listen, I agree with you. I agree that the internal pharmacy is the most powerful pharmacy of all. And we basically have what we need already within us to deal with our problems and our mental states, and so forth. But we’re certainly composed of chemicals and these chemicals do things to our bodies. I’m not a scientist – I’m not a doctor of course. On its face that sounds true, though. Peter Breggin: First of all, I think what you just said was so eloquent. I’ve never heard that before. The internal pharmacy is the only pharmacy we need. I love that. I’m going to use it, but I will attribute it properly. Sure, of course. We need our brains in order to function. The question is though, are the most of the emotional suffering we have the product of a normal person with a normal brain, dealing with life’s trauma and life’s stresses, and with making decisions, and developing values and learning how to live, while our hardware’s actually functioning fine, or is the hardware of the brain in fact defective and producing these emotional disturbances? From a scientific view point, there’s simply no evidence that any known psychiatric disorder is biochemical in origin. The biochemical imbalance theory is even being given up by some of the leaders, because it’s become a laughing stock scientifically, it was simply a PR campaign started by Eli Lilly, even before Prozac was approved by the FDA, they were paying doctors to go out and say that depression was a biochemical imbalance. In fact, if we look at the literature and we look at clinical experience we come to two conclusions. One, anti-depressants make people worse in the long run. In the short run if you look at all of these studies used for FDA approval of anti-depressants, the anti-depressants are no better than placebo because depression is hopelessness, the sugar pill works, a third or more people will feel better if you put them in an experimental situation, tell them they’re going to get a wonder drug and give them a placebo. So the human spirit, the hope, the positive hope, is equal to the drug, if you look at all the control clinical trials. Second, we know that people are getting worse and worse on anti-depressants over the years. The disability rolls are swelling as a result of this. I talk about these issues in my book medication madness. The role of psychiatric drugs in violent suicide and crime. We’re actually making people sicker and sicker on the anti-depressants. The other side of it is that we know that depression has to do with a spiritual hopelessness – a psychological emotional giving up, a feeling of being overwhelmed. And that often it’s one of the easiest problems to handle if you’re a very positive, caring therapist. But if you’re the kind of therapist that feeds on the person’s worst feelings about themselves and you tell a person, well you’re right. This is out of your control. You are helpless. You tell them this in effect – you have a biochemical imbalance. Well that just feeds the person’s worst notions about themselves, makes them dependent on the doctor and the drug. And they’re certainly not going to achieve happiness on a drug. There’s no drug for achieving happiness. So it doesn’t work. But what works well is an understanding, caring intervention that supports the person’s strengths, finds out what the human being really aspires to in life, finds out why they’ve given up hoping for love or success or work that they love, or getting over childhood abuse. Whatever it is this person needs, that’s what life is really about. Jason Hartman: This is so timely that I would have you on the show today because just yesterday, I’ll just share with you what I posted on my Facebook page yesterday. I’ve been thinking the way you have for many, many years, that this culture is just totally over medicated. It is ridiculous. It’s like they’ve got a pill for every problem nowadays. I don’t think they’re effective. This article that you mentioned that I saw yesterday and picked up on one of the syndicated sites is about how teenagers have been growing up half their lives medicated. They don’t even know who they are. They’re not even in touch with their own being. It’s dulling their sexual desire, it’s saying. Discouraging them from examining the cause and effect roots of their feelings and their emotions. This is craziness, isn’t it? Peter Breggin: Jason, we’re like brothers on this issue. Yes; everything you’re saying is very well put and very correct scientifically, psychologically and socially. We are bathing the brains, the growing brains of our children with drugs that permanently change their biochemistry during the growth period. It then becomes horribly difficult for them to withdraw from the drugs as they grow older. Because if they are taking say, the anti-depressants, they can get horrible shock-like feelings in their heads. They try to withdraw, they can crash into terrible suicidality, they can become horribly overwhelmed with anxiety, and yet if they stay on the drugs they’re going to have their emotional strength eroded over the years. They get more apathetic; even in psychiatric textbooks now they’re talking about an apathy syndrome. And in one way or another this is true with all of the psychiatric drugs; whether it’s the stimulants we’re giving the kids for so called ADHD or the bipolar drugs, which is this huge scam. Where a Harvard professor was paid off my the drug companies to create a whole environment of diagnosing bipolar in children so they could sell them drugs like Risperdal. So we’re in a very bad situation. My new book is called Psychiatric Drug Withdraw: A Guide for Prescribers, Therapists, Patients and their Families. And the whole idea behind psychiatric drug withdraw is that it can be so difficult to come off that you have to have a collaborative effort between the prescriber, the therapist, the patient, the family, and even then it can be very difficult to come off. Jason Hartman: And can you believe that people hate the drug dealer on the street corner, talking about this idea of giving the kid a free sample. And then they all come back for more and then they’re addicted. The pharmaceutical companies are doing this is mass, aren’t they? Peter Breggin: Yes and they start by giving free samples to the pushers. The psychiatrists, the internists, the pediatricians get these free samples and then they pass on the free samples to the children and adults exactly as the pusher on the streets does it. The main difference being that this particular cartel has in its grip the American media, the American advertisers, the newspapers, Wall St, this cartel makes the illegal drug cartels look like kid stuff. Jason Hartman: And what do these drugs do? What are they doing to people? They block serotonin? Isn’t serotonin what gives you a good feeling, a positive feeling? Peter Breggin: No, that myth is about Dopamine. No, what happened is, well first serotonin is everywhere in the body, it’s in your blood, it’s in your gut, it’s in your brain, it’s throughout the body. When it was discovered that it was also in your brain, Eli Lilly got the brilliant idea of taking some very shoddy research and claiming that low serotonin was causing depression, violence and suicide. So they developed a drug which blocked the removal of serotonin from its active place, called the synapse, in between the nerve cells. So basically, you’re blocking the removal of a normal substance in the brain and flooding the synapses with this neurotransmitter. You’re literally flooding the synapses. And this was supposed to be helpful. There was no evidence of any biochemical imbalance in the brain and to the contrary, the drug was developed by finding something that would create an abnormality in the brains of rats by blocking the removal of serotonin in their brains. So what it really starts with is causing a biochemical imbalance in the brains of rats and then in the brains of human beings and claiming it’s fixing a biochemical imbalance. Jason, it’s as jaded and evil as that. Now the brain doesn’t like this, and Eli Lilly knew from the very first, before the drug was even approved, their research showed that the brain resists this and in fact in the first day or two shuts down the production of serotonin to avoid flooding. And then over time two or three other mechanisms come into play to compensate for this blockade of removal by making it harder to remove, by making the brain less sensitive to the drug. And when you’ve been on the drug then for months, you have a brain that has been fighting the drug and has changed. And it’s not only changed from the toxic effects, and we have evidence of killing brain cells, I described this evidence in psychiatric drug withdraw, the first half of the book is about the damage and the second half is about getting off the drugs. The brain has been injured by the drug and then the brain has also in effect injured itself by making all these changes that compensate for the drug. Jason Hartman: What is DT? What does that mean? Peter Breggin: The DTs are, if you drink alcohol and you come off it abruptly, your brain is hyper charged and it gets over excitable, it gets over stimulated, you get insomnia and anxiety and agitation and it can be so over stimulated that you have seizures. Now why would a brain go into seizures from alcohol? Well the brain has been fighting the sedation of the alcohol and the brain fights the alcohol by adding super charged, more excited, more stimulated to try to overcome the sedation. You then remove the alcohol and you’ve got this brain that’s been fighting back by being over stimulated, and that causes DTs. It’s a simple model. We have a similar model for the SSRIs now, where the brain has compensated for the SSRIs. Remove the SSRIs and this poor brain is struggling on its own with all it’s over reactions. So it’s just not a good thing, and we knew about this from the beginning. Eli Lilly knew this. They knew that they couldn’t even show that by blocking the removal of serotonin, you are actually going to increase the serotonin activity. It’s all a mess. That’s the truth of it. It’s a sad situation, and it’s hard not to pull punches on this, but people need to know when you take these drugs they injure your brain, then your brain fights back so you’re stuck with the changes in your brain. Recovery is not always complete. And that’s the negative picture. But the positive picture is that if you can get off these drugs and return to an idea that you are not simply your brain, that your brain is something that expresses your essence and your being, your spirit, your soul, your identity, your personality, you can triumph over these injuries. And the sooner the better you get off the drugs, and you have to do it in a careful manner; that’s what my book Psychiatric Drug Withdraw is about. It’s about doing it in a careful manner, but if you can do it, the sooner the better, the more chance you have to recover fully. And again, even the people who don’t fully recover feel like the quality of their life is better off the drugs. But they really have to work at it. You’ve got to work at it when you’re injured. So just bring yourself fully out despite those injuries. Jason Hartman: We talked about the SSRI category. But when we talk about these psychiatric drugs, what other drugs are there? I remember hearing from the old days, like old movies about lithium. Is that used anymore? That’s a really serious one, isn’t it? Peter Breggin: Well they’re all really serious Jason. But that’s right. Lithium started out being claimed to be “the NIMH”, our government said lithium was a magic bullet for mania. Some magic bullet. It was discovered by injecting lithium into guinea pigs and they all flaked out. So the psychiatrist who did that was a guy named Cade back in the late 30s. He just took lithium and walked across the street to the state mental hospital where he worked, put it in patients and they flaked out too. He said whoa, we’ve got something that just really quiets down the patients. Jason Hartman: Makes their job easier, doesn’t it? Peter Breggin: That’s exactly what it is. That’s right, it replaces human services and kindness and love and support and teaching people responsibility and encouraging people. And so on and so forth. So lithium was nothing more ever than a very serious poison and it’s so poisonous, you have to take blood levels of it on a regular basis because patients get poisoned without even realizing it. Because of a concept that I developed and it’s in the scientific literature now called medication spellbinding, where you get poisoned by the drug, you don’t know it’s happening to you, you may even think you’re doing better when you’re really in trouble. Lithium is now well known as producing permanent brain dysfunction in people who have been taking it for years, along with malfunctioning of many other organs. You can die of kidney disease from it, you can get terrible thyroid disorders, terrible skin diseases, but my main interest and focus has been on the brain and lithium basically erodes brain function over years and years. And again, I’m talking more honestly this year than even before about this because it is time to realize we are poisoning our children and millions of adults as well. We’ve got to face it. The biggest thing psychiatry could do to contribute to public health would be to stop giving psychiatric drugs or to cut way back on them and to learn to help people to come off psychiatric drugs and to help develop facilities. Jason Hartman: What are some of the other commonly abused psychiatric drugs? The SSRIs are the big field, but are there some other categories? Peter Breggin: There’s a few basic categories. One is the anti-depressants. All of them now have these warnings for causing suicide and if you read the labels, they cause violence and mania and many other things. And they’re hard to come off. Another major category is the stimulants, which we give for ADHD, like Ritalin, and Focalin, and Adderall and so on. Most of them are basically amphetamines or they’re like amphetamine. Ritalin or methylphenidate is like amphetamine, or very similar. All these drugs change the brain and these particular drugs make people more prone to cocaine addiction when they’re young adults, because rats will cross addict to cocaine or Ritalin or Adderall, which is amphetamine. And there are these brain changes that occur and they also can be difficult to come off of. There’s no evidence they do anything except produce an abnormal over focusing, which some people mistake for improvement. They suppress spontaneous behavior which parents and teachers mistake for improvement when they’re feeling harassed. Jason Hartman: What about Xanax? Peter Breggin: Well that’s the benzodiazepines. Which started way back. Valium was the big one, mother’s little helper for a generation. You have Ativan, you’ve got klonopin, and serax. Jason Hartman: Are those downers then? Peter Breggin: These are downers. They’re downers that are very addictive. 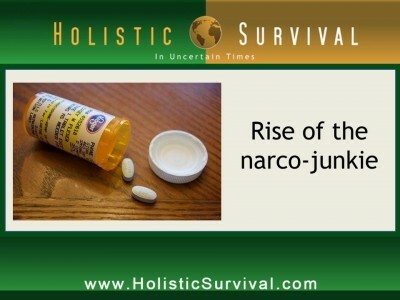 They’re also classified as addictive drugs by the DEA, the Drug Enforcement Administration. Coming off them is very much like coming off alcohol. You get a DTs-like syndrome. Many people who are on these drugs for a period of time do not recover. They can’t get off. After only 6 or 8 weeks, Jason, a third of people go into withdraw that they can’t handle and have to stay on the drugs by the drug companies admission. A significant percentage after just 6 or 8 weeks can’t get off these drugs. These drugs should not be on the market at all. And over time, more and more evidence now that they cause dementia. That they cause a generalized loss of mental faculties. Over time people are left with blackouts on years of their lives, they’re left with cramps and pains and memory difficulties. And again Jason, people sometimes say he exaggerates; I’ve been holding back for years. This is real. This is real. Jason Hartman: I believe it. I think that people’s behavior has become so erratic. Sometimes I just blame it on simple energy drinks. It seems like we’ve got this, I’ve said many times I want to write a book and call it the caffeine culture. I drink coffee and I drink energy drinks occasionally too, but it’s like everybody’s so amped up all the time and so short and that’s part of it. But then you put in these complex psychiatric drugs into the mix and wow. I want to tell you something. And really, this is a question. Last year, I moved from Southern California to the Phoenix area. And I live right by a major college, ASU, Arizona State University. And it has amazed me what I have noticed here in the way these kids are using prescription drugs. Whether it be Adderall, Xanax, they talk about them. I hear them talking about this stuff as if there are no consequences to them whatsoever. They use them like recreationally. They use Adderall as the super drug to help them cram for finals, they use Xanax because they say it makes them more sociable and fun. This is craziness, isn’t it? Peter Breggin: Yeah, Jason. You’re marvelous. Yes it’s total craziness; I apologize for interrupting. I’m very into this show because it’s rare to be talking to someone who has such a full understanding of this. You’re absolutely right and if you think about the brain, it is the most delicate, subtle, littlest understood organ or object in the whole universe. Everybody’s brain, the college student’s brain, your brain, my brain, is literally more complex than the entire physical universe. If you compress the universe into a box, just the physical part of it, put it on your shoulder, your brain’s more complex. That’s why we don’t have great names associated with understanding the brain, like Einstein or Kepler or Newton, because we haven’t begun to even grasp how the brain operates. It’s got these billions of neurons making multiple billions of connections with each other in a complex fashion that we don’t even understand but we do know that the whole idea behind the brain is to protect itself from outside intrusions. It’s got the skull, it’s got three layers under the skull, it’s got a complex blood/brain barrier to keep the psychiatric drugs out and they have to be tailored to sneak through. And all these protections are around the most complicated, subtle, involved process known in the universe. And we’re not teaching that to our kids. We’re not saying treasure your brain, protect your brain, we’re saying give your brain to some pediatrician or psychiatrist or your buddies. And just drug yourselves and be drugged. It’s a terrible situation Jason. Jason Hartman: This is unbelievable. Give out your website and tell people where they can get your books. You’ve authored over 20 books, right? Peter Breggin: Yeah. I’ve been writing for decades now. And just getting increasingly determined not to soft pedal this epidemic disaster that the western world is facing and it’s creeping more and more as they look for more markets into the less developed countries. Well the name is Peter Breggin. And my latest book is Psychiatric Drug Withdrawal: A Guide for Practitioners, Therapists, Patients and their Families. It’s for laypeople and professionals alike. And the first half is about the things we’re talking about today; about how damaging the drugs are, why you should withdraw from them if you can, and the second part is about how to safely as possible go about withdrawing. I have another book which is having a profound effect on the legal system; my book just before this one, which is Medication Madness: The Role of Psychiatric Drugs in Cases of Violence, Suicide and Crime. Jason Hartman: Tell us about that for a minute. Peter Breggin: Well, we’re just seeing a huge amount of violent crime now and suicide as a result of psychiatric drugs. Most classes of psychiatric drugs can make a person depressed and suicidal and many classes can make people violent. The SSRIs are the worst offenders as a group. And a lot of mayhem and murder in this country starting way back with the Columbine violence. The leader of the Columbine shooting was on Luvox. We know this as a fact. I recently had to write to USA today, and they didn’t publish my letter, telling them that they were totally false when they did a look back at Columbine and said that none of the boys were taking any psychiatric drugs. It’s not true. I have the FDA documents and I have the autopsy reports because I do a lot of legal work and I was associated as an expert with some of these cases at Columbine. And Zoloft was involved. It was a therapeutic level in the blood according to the drug company at the time of death. So a lot of what’s going on in our culture that looks really bizarre is drug related. A lot of it is street drug related, a lot of it is psychiatric drug related. Jason Hartman: Well what can we do? Awareness? You’re definitely helping with that. I hope my show helps with it as well and just contributes to the awareness issue. Anything else we can do? When you’ve got the government and Wall Street in bed with the drug companies, I doubt you’re going to get very far. Peter Breggin: It has to be a cultural change. All the big changes, whether it’s the Berlin wall coming down or whether it’s slavery in America coming down, it has to really start with people getting sick and fed up with something that’s evil and the drugging of our nation by the pharmaceutical industry with psychiatry leading the way and the rest of the medical profession isn’t evil and it’s really a time to confront it on a personal level to yourself. Decide this is not a way of life for yourself, for your children, for your family, to be open about it, to read books about it, to be educated about it. It’s got to start with people picking this up on a personal level. And I’m seeing huge changes in the media attitudes towards these issues, towards me, towards the attitudes in general. We have the federal government sometimes for its own political reasons, but sometimes legitimately now, suing these companies and getting billions of dollars. Like with GlaxoSmithKline and Eli Lilly and other drug companies showing that their marketing is fraudulent, showing that they’re withholding information from the FDA and from the professions. So there’s something changing but the big change is going to have to come from the American populous and people brave enough to teach our college students and our children that drugs aren’t the answer. Jason Hartman: Well Dr. Peter Breggin, thank you so much for joining us today and you can also visit Breggin.com to find out more as well as the other website that he mentioned, and keep up the good work out there. Peter Breggin: Thank you very much Jason Hartman. This has been a wonderful interview.